Aldo Leopold, a behemoth of the conservation movement, was born in 1887. Leopold attended Yale University's School of Forestry and joined the US Forest Service when the Service was just four years old. During his life he advocated for what would become the first designated wilderness area in the world and wrote countless books, such as the famous A Sand County Almanac, about preserving and living in ecological harmony with the land rather than using it merely as a disposable economic resource. "...I am glad that I shall never be young without wild country to be young in" said Leopold, bemoaning the destruction of nature, however necessary it may have been for America's early settlers. In the 60 years since his death, that trend of destruction has only continued. Many of us have, in fact, grown up in an era where wilderness was only occasionally experienced during a family vacation - a camping trip or a weekend at a rented cabin. How can we inspire a new generation to care for nature and promote open space? Some have worked to capture our imaginations by helping us see what our urban and suburban neighborhoods looked like hundreds, or thousands of years ago. Eric Sanderson, of the Manahatta Project, does a fascinating job of capturing the topography, vegetation and animal life that was present 400 years ago on what is now the densely urbanized New York City. It is whimsical to know that125th Street under the West Side Highway was once a beach, Times Square was a wetland, and there was once a pond where the Court House now sits. So, how can we envision the city of the future? Well what if we go to Madison Square Park, and we imagine it without all the cars, and bicycles instead, and large forests, and streams instead of sewers and storm drains? What if we imagined the Upper East Side with green roofs, and streams winding through the city, and windmills supplying the power we need? Or if we imagine the New York City metropolitan area, currently home to 12 million people, but 12 million people in the future, perhaps living at the density of Manhattan, in only 36 percent of the area, with the areas in between covered by farmland, covered by wetlands, covered by the marshes we need....This is the kind of future I think we need, is a future that has the same diversity and abundance and dynamism of Manhattan, but that learns from the sustainability of the past, of the ecology, the original ecology, of nature with all its parts. We must continue to promote urban growth boundaries that prevent sprawl from threatening rural land and preserve and expand our National Park and National Forest Service lands. 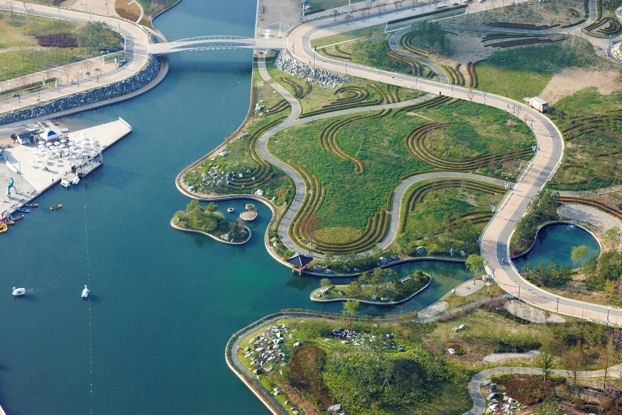 We can also find innovative ways to apply Leopold's "Land Ethic" to urban terrain. This will help guide us to more sustainable living environments - for humans and the fellow residents of our ecosystem. In Cleveland, for example, a team of local scientists have created a project called Ultra-Ex, which is documenting the ecological benefits that vacant urban lots might provide. "One abandoned yard is a mess; 20,000 abandoned yards is an ecosystem. At this scale, Cleveland’s vacant land begins to look less like a sign of neglect and more like an ecological experiment spread over some 3,600 acres." (Finding the Potential in Vacant Lots, New York Times) They hope to study these lots and begin to redefine vacant plots as community assets rather than unmowed eyesores. Habitat for Humanity, for the first time, has expanded its mission to include tearing down abandoned and dilapidated houses. (Habitat Adds Demolition to its Mission, New York Times) It is unknown what will come of these newly vacant plots. Some brand new cities, like the Songdo International Business District in South Korea, are being developed with open space in mind - the city is to be comprised of 40% open space (600 acres) and will offer a 100-acre Central Park. Mature cities like Milan, Italy are experimenting with bringing "forests" into their dense city centers by building up, rather than spreading out (The Age of Flower Towers, Financial Times). 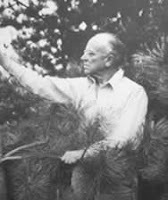 The spirit and work of Aldo Leopold remains alive today thanks in large measure to the Aldo Leopold Foundation, the US Forest Service and the Center for Humans and Nature. They are promoting a new documentary film about Leopold entitled Green Fire: Aldo Leopold and a Land Ethic for Our Time. The documentary is currently being viewed across the country, from New Mexico and Arkansas to Wisconsin and Vermont.